September has always been a favorite month of mine as hunting season tends to kick off all over the nation for everything from doves, deer, teal and elk. Not to be forgotten we tend to see cooler weather as well. Even if it’s only a few degrees. I’ve already been able to venture back to Kentucky to continue my pursuit of an archery harvest of a whitetail in velvet. We had a great hunt again this year camping near the Kentucky River thanks to the folks from Salt River Outfitters. We we’re joined this year by Steve Nessl of Yamaha Outdoors as well as Kevin, Jeff and Michael. We spent 7 days over there and had some great encounters but with both sadness and happiness I report that my quest will continue again next year. 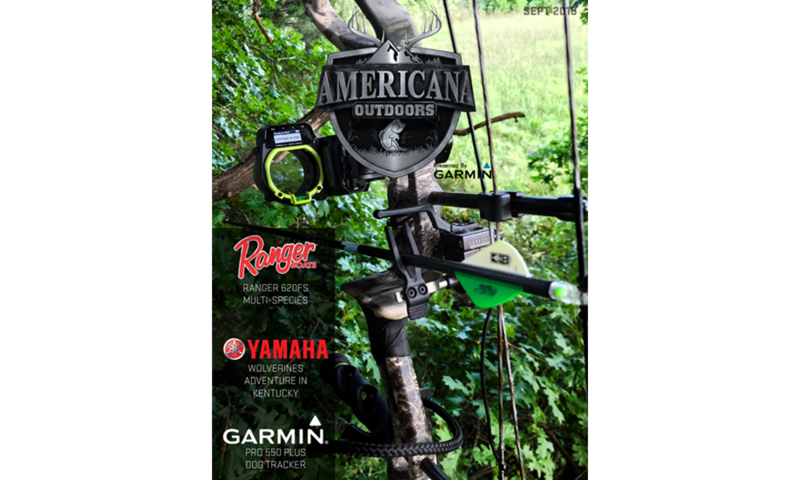 Stay tuned to see all the action and story on both Yamaha’s Whitetail Diaries and Americana Outdoors presented by Garmin. We’ve also been on the water learning more about the new Garmin Panoptix LiveScope. I’ve always thought of myself as a forward fishing angler; targeting what’s ahead and around the shoreline with some exceptions when it comes to off shore fishing. The Garmin Panoptix LiveScope gives me the ability to see targets in that style of fishing but it’s opened my eyes to off shore vertical fishing like nothing else available. We’ve also been out in the field with Trevor Young from Hi Viz chasing aoudad and shooting new product videos. Trevor scored on a pair of aoudad on this trip with a Performance Center 460XVR handgun. 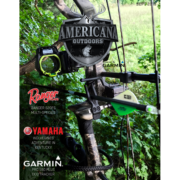 In addition we’ve been field testing new fishing rods from Bass Pro Shops, hunting hogs with the new TenPoint Nitro X Crossbow and gearing up for the upcoming opening to Texas Whitetail Season. Not to be forgotten is how busy we have been as we gear up for the upcoming AFTCO Collegiate Bass Fishing Open at Lake Dardanelle, Arkansas as well as covering the Cabela’s National Walleye Tour Championship, IFA Redfish Tour events and hitting the waters off shore. Finally Angel has made a few new creations we’ll be sharing soon from the kitchen…certainly one of the best parts of my job is field testing her new recipes from the harvests and catches on our trips! We’ll see you in the woods and on the water! Stay safe, have fun, and enjoy your time in the outdoors.